Welcome back to the final listen-a-long of John Scalzi’s The Human Division. The finale episode of Season 1 was: Earth Above, Sky Below. As it’s our last episode of the season, I hope you don’t mind if I break from form and do away with the recap and thoughts. Let’s just dive into that deep sucking vacuum of space together, old friends, and free-fall. So, yeah. Season 1. 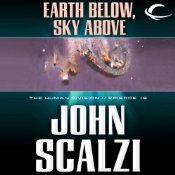 If you didn’t hear, last week, when the final episode premiered, John Scalzi announced on his website that there was definitely going to be a second season of the Human Division. I don’t think this should really be too much of a surprise. Scalzi has been likening this whole thing to television series all along, and has told us from the beginning that this was an experiment for both him and Tor. And along the way, what with the individual episodes hitting the USA Today Bestseller lists, it’s been obvious that the serial was at least commercially successful. But was it a creative success, as well? I’ll do a wrap-up post this week with my feelings on that, but for now, focusing on this week’s episode, I’d have to say that yes – taken as an episode in the series, and specifically as a finale – this episode did almost everything I wanted it to do. It was hands-down one of the most exciting episodes in the series, as well as one of my favorites. There were bar fights, romancing, unitards, snappy dialogue, exploding space ships, noble sacrifices, nostalgia, the stakes were raised, and it all made for an incredibly entertaining ride. I was somewhat prepared for the cliffhanger, because I’d heard from various sites and people it was coming, so the lack of resolution – that the good guys got their asses handed to them, essentially – didn’t bother me in the slightest. If I had to compare the most exciting episodes of this premiere season, this episode would be very close to the top of the list (see also: We Only Want the Heads and A Problem of Proportion). The bar fight between Harry and the soldiers was hilarious fun, I got chills when the Eerie Morningstar showed up, and I was thrilled by the action that followed. Like Captain Coloma going down with the ship in a blaze of glory – what more could I ask for from this episode? Yet I’m hesitant to lay all that at the feet of this week’s episode. It suffered from it, sure, but it was still an adrenaline-filled ride, and it hit most of the other notes I’d hoped it would hit, and capped the season off in spectacular fashion. William Dufris was his usual excellent self – ratcheting the tension when it needed to be kicked up a few notches, bringing in levity when necessary, and pausing at all the right moments. 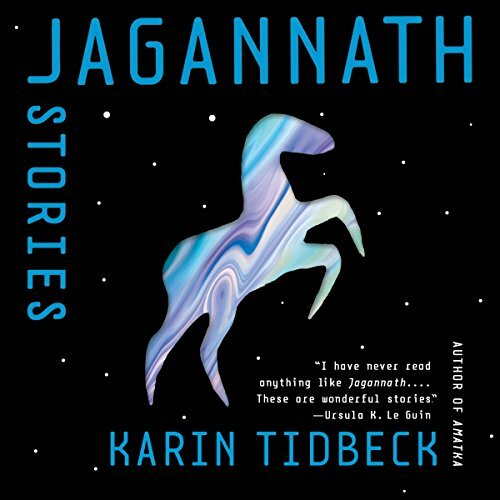 Part of what’s been fun about listening to this series is listening to Dufris read it to us. All in all, I thought this was a very solid season finale. I enjoyed listening to every minute of it, and it’ll take a while to go back to listening to something else on Tuesdays. Before I go – A couple of thank you’s. Huge appreciation to Bob Reiss over at The Guilded Earlobe, my more punctual counterpart, who I imagined sitting right next to me as I drove to work while brains in boxes were self destructing and/or firing missiles at us. Reading his takes on the episodes and discussing them in the comments and on Twitter was a hoot. Also, big bear hug to my fellow AudioBookaneer Sam, who came up with this mad scheme, and who threw popcorn with me at the earphones when redshirts and first cousins walked onto the screen smiling with their hands-outstretched to shake. It’s been fun, guys!